Oakley Prizm MX lenses help you see subtle transitions in dirt conditions so you can master all those split-second decisions. With high-impact resistance that makes you invincible, this landmark of technology is the first even MX design with a lens of pure Plutonite. 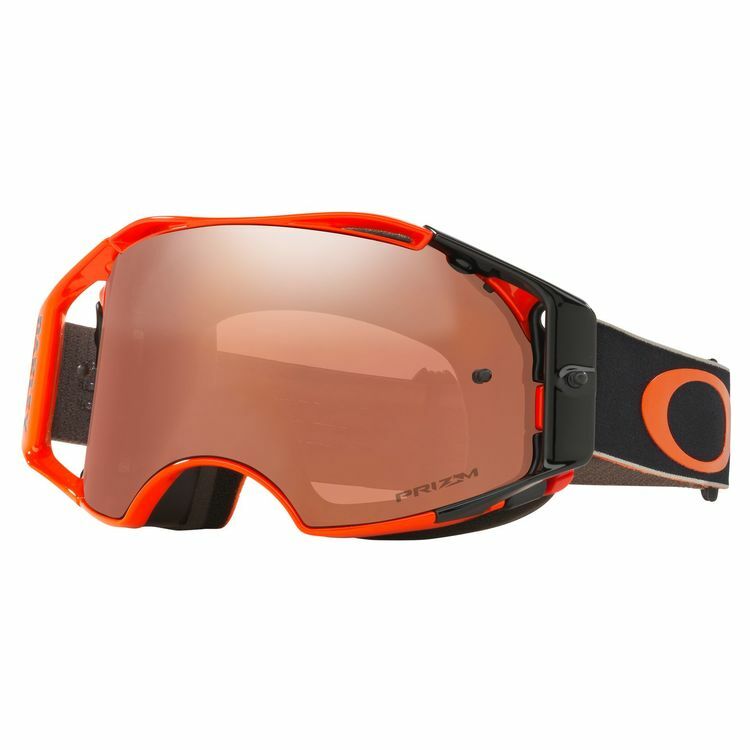 It's the new standard of protection, and it lets you take the adapt-and-conquer approach with Oakley Switchlock Technology, the secret to fast and easy lens changing. The view is wide open, the comfort is beyond reason, and the performance leaves other goggles scrambling for second place. Switchlock makes the process of lens changing fast, easy and hassle-free. This technology uses a simple switch mechanism to release the mounted lens so a new one can be locked in instantly. It lets athletes adapt their vision and keep up with changing light.